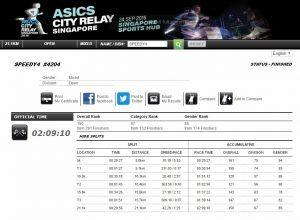 Race Review: ASICS City Relay Singapore 2016 [HM] (by Rebekah Ong) | JustRunLah! Super fast are the words that immediately come to my mind when I think or hear the word relay! 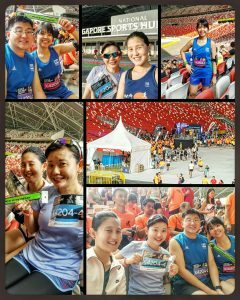 Yesterday (25.09.2016) was my first time joining a relay run event! 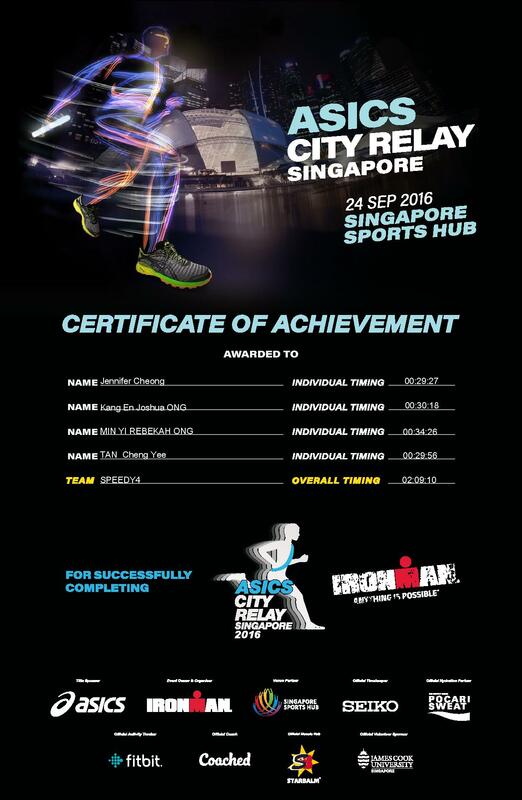 The ASICS City Relay Singapore to be exact! There were around 3000 runners gathered at the Singapore Sports hub gathered for this event! 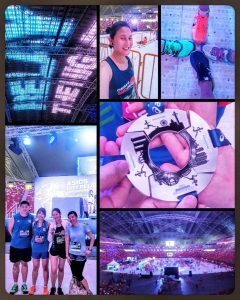 It was a really well organised and super fun event and my team gave their 100% to running their best! There are two categories for this run event which was the Marathon and Half Marathon. Each runner from a four person team will complete a total of either 10.5km (2 laps of 5.25km) or 5.25km. 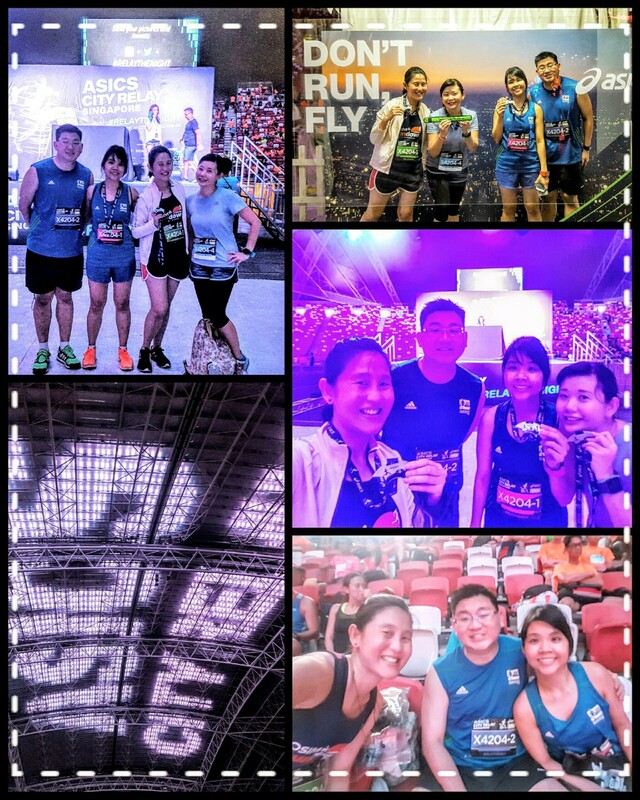 My team, Speedy4, consisted of my brother, Joshua (2nd runner), Jennifer (1st runner), Cheng Yee (4th runner) and me (3rd runner) and we chose the Half Marathon category. This was the best option for us as we all knew we would all average about 1/2 an hour per person. 1/2 an hour is not a long wait, in fact time past really fast which was good, no long in between breaks!! 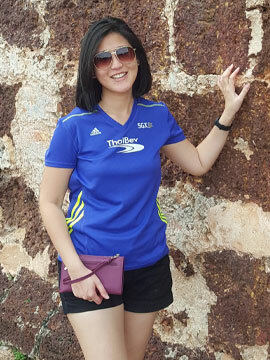 Fantastic organisation – The organisers (IRONMAN Endurance Asia Pte. Ltd.) did a fantastic job by making sure that everything ran smoothly from race start, to changing of runners to race end. Punctual flag-off timing. They had the changing pens labelled properly and volunteers standing by to announce the runners number if they could not find their team mates. Sufficient notice were given to participants to head down into the holding pens. No signs of over crowding just really smooth transition. One of the highlights was the fireworks when the first runners were flagged off! This was the first time I saw fireworks used for flag-off and it was really cool! What a sight! Too bad I didn’t have a photo of it. 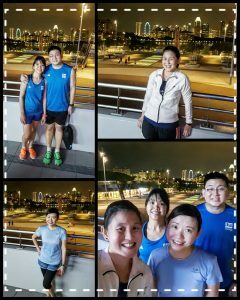 Well planned race route – We started and ended at the Singapore Sports Hub. 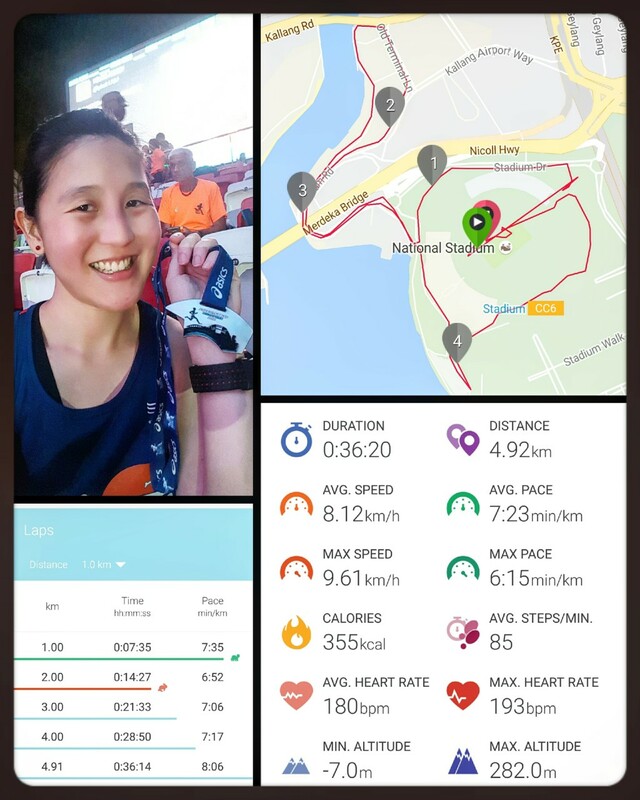 This was my first time running this route which took me past the underground Sports Hub carpark which had really cool colourful led lightings setup which made it exciting running in the dark for the first 300m, slowly leading you out around the Singapore Sports hub and it’s surroundings. The water points were well positioned along the route and offered Pocari Sweat drinks and ice cold water! 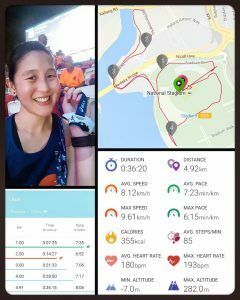 The route was slightly challenging route with a few slopes in between, the toughest being the underground tunnel near Kallang Riverside Park. There was no congestion at all along the routes, making it a really enjoyable run. There were also cheer leaders somewhere along the 4 km mark cheering the participants on and giving them that extra push. Fun activities at race village – The race site had many fun photo booths where runners can have their photos to remember this run event. 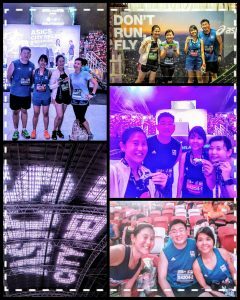 There were altogether 3 photo booths, the most I’ve seen at a run event and all with different backdrops. There was a Bubble Bump area where participants can experience that sport! I’m not that adventurous and didn’t to go try it and plus I was already tried out from the run. DJ Victoria was spinning cool beats too at the race village and I definitely enjoyed it. Good music always makes an event more enjoyable. There were also LED robots at the race village for cool photo opportunities! 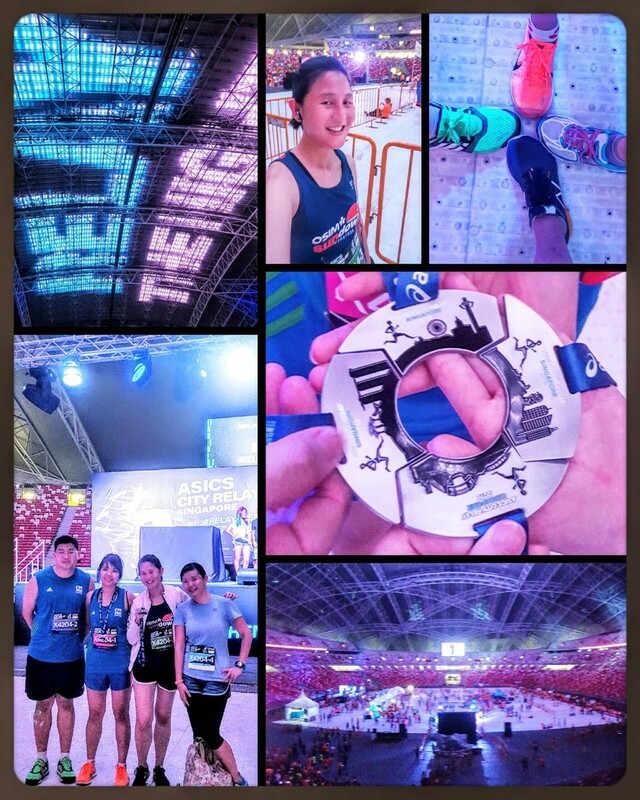 Cool Race Relay slap band & Medal – As this was my first relay, it was my first time that I saw a relay slap band which is like the baton that you pass to the next runner! This snap band actually lights ups and it looks super cool in the dark. When you are waiting at the transition area, you can see the blinking lights and you immediately know that a runner is approach and you keep a lookout! The finisher medal was also something that you wouldn’t expect from a normal run event, since this was a relay race, the medal for the team were all interconnected to form a medallion. Love the unique design of each piece and it’s really pretty! Immediate Results – One of the things which I hate the most for run events is waiting for the official results. 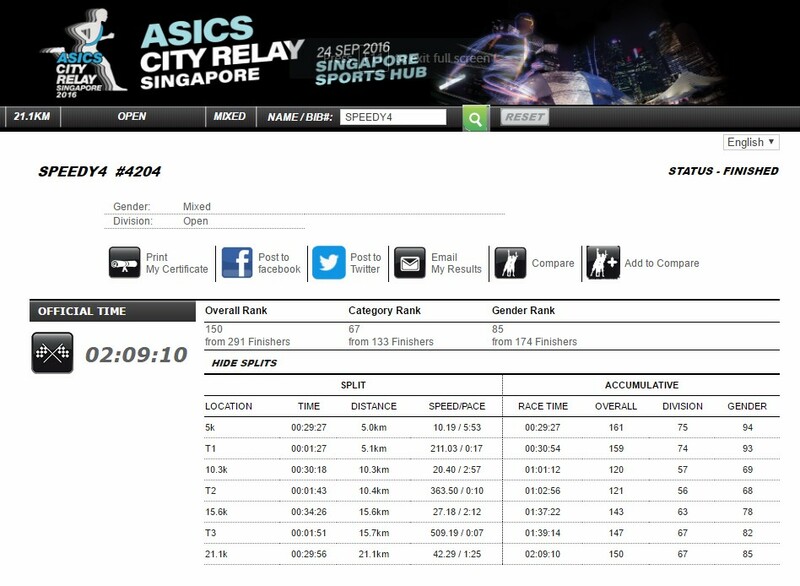 For this run event, there was live tracking and the official results was made available like immediately! Super impressed with it! 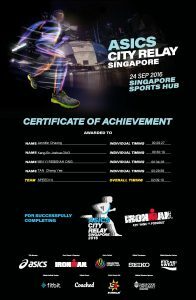 To add, their race certificate was really nicely designed too. As for statistics, the ones provided were clear and and easy to understand. Fantastic Positive Competitive Vibes – Somehow or rather during a relay, the energy seems more charged! Participants were rarely seen walking compared to other races! The competitive edge could be seen while running. That definitely gave me the motivation to push on! Another reason was that you did not want your next runner to be waiting super long! These two reason were enough to keep me moving! Fun Instagram contests – These are always interesting because the organisers didn’t forget those participants not competing for any of the race categories grand prizes. This year they had best baton and best dressed teams. Not too sure that I would dress up for a run event as I may not be able to run it but still it sounded fun to have these contest running along sides. Congrats to the teams that won. Cool Lights and Social Media Display on the huge display boards – So the organisers got participants to Instagram and hashtag their pictures. If they got picked up, they would be displayed on on of the big screen within the stadium. The Sports hub had really cool light features and check out my first feature image! 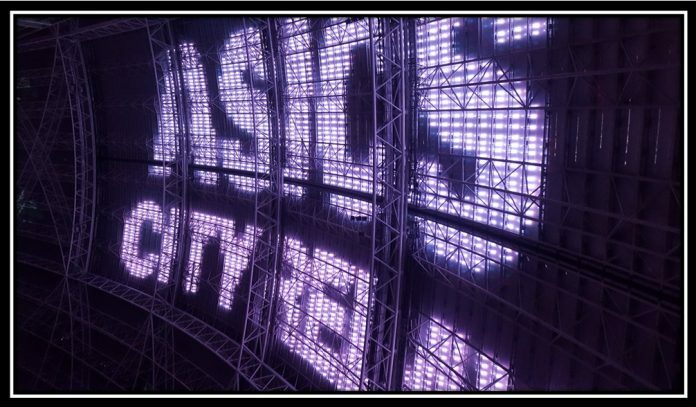 The event’s name was display on the top of the roof of the stadium! Overall, my team and I enjoyed this race! We gave it our best and will definitely have fond memories of our first relay event! My brother was still raving about this event during our dinner conversation and he was saying that he would want to join it again next year because it was a really fun and super well organised events! I couldn’t agree more with him! There was really nothing to fault for this event! This is really a first for me! Till my next write-up! Let’s all stay #LeanStrongAgeDefiant!